trace follows three generations of mother and son from the Japanese occupation of Hong Kong to Canada in the 21st century. 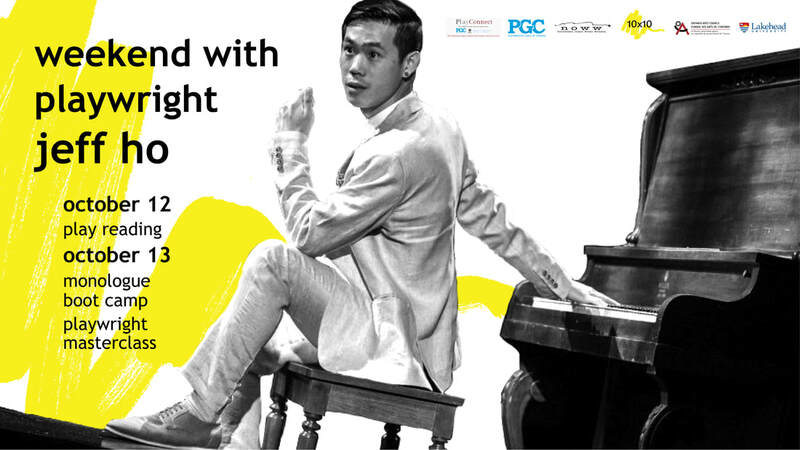 Written and performed by Jeff Ho, this stimulating chamber play offers a new look into the lasting implications of sacrifice across generations, through the voices of piano and poetry. ​Writing a solo piece, or even just a monologue within a multi character play can be one of the most daunting tasks for a playwright. The Monologe Boot Camp with Jeff Ho is a chance to practise collectively, work on writing exercises that prioritize creative and impulsive freedom, and share strategies around generating full, dense, and layered solo texts. The Master Class is an indepth, and hands on working session for plays and playwrights at an advanced phase of development. The class will be an intensive, with a focus on dramaturgy, how to self-edit/self-identify rewrites, and next steps for each individual submission. Conversations around submissions, working with a producing company, workshops, and the professional practise of being a playwright will also be explored. Jeff Ho is a Toronto-based theatre artist, originally from Hong Kong. Most recently, he debuted and performed in his play, trace, as part of Factory Theatre's 2017/2018 season, in association with b current, directed by Nina Lee Aquino. Favourite acting credits include: Prince Hamlet (Why Not Theatre), Hana’s Suitcase (Tour: Toronto/Montreal/Seattle/YPT), Unknown Soldier (lemontree/Architect Theatre), Murderers Confess at Christmastime (OutsideTheMarch), Taming of the Shrew, Romeo and Juliet (Repercussion Theatre), The Handmaid's Tale (Hulu), Orphan Black (BBC America). Upcoming: For the 18/19 season, Jeff will be touring as Ophelia in the Dora-Nominated Prince Hamlet, directed by Ravi Jain, across the country, with stops at Canadian Stage (Toronto), The PuSh Festival (Vancouver), High Performance Rodeo (Calgary), and the National Arts Centre (Ottawa). As a playwright, Jeff is working on reinterpretations of classics: a modern adaptation of antigone, produced by Young People's Theatre's as part of their 18/19 season, a raw adaptation of iphigenia among the taurians, produced by Saga Collectif, debuting in January 2019 in Toronto, bloom/rot, an adaptation of Genet's the maids, with Vancouver Asian Theatre Company and Playwrights Theatre Centre (Vancouver), and whispers, an exploration of interlingualism in Shakespeare's canon with Repercussion Theatre and Playwrights Workshop Montreal for Fall, 2018, in Montreal. His debut play, trace, will be published by Playwrights Canada Press for their Fall 19/20 catalogue. He has held residencies with the Stratford Festival, Nightswimming, Cahoots, The Banff Playwrights Lab, and Factory Theatre. Jeff has been twice nominated for a Dora Mavor Moore Award for performance, a Harold Award, as well as the SummerWorks Emerging Artist Award. As an administrator and educator, Jeff was the Apprentice Artistic Director at Factory Theatre, with Nina Lee Aquino, for their 16/17 season. Jeff is a graduate of the National Theatre School.